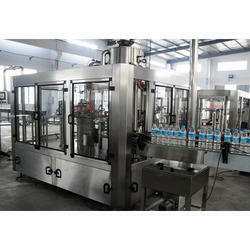 Our range of products include mineral water bottle packing machine. In order to cater to the variegated requirements of the customers, we have been able to bring forth a highly efficient range of Mineral Water Bottle Packing Machine. Developed in accordance with the global quality standards, the range is incorporated with varied spare parts & quality components for improved efficiency. Manufactured under the strict watch of expert professionals, the range strictly complies with the international quality norms & standards.